We are very proud to announce that the EUROCLIO programme “Historiana – Your portal to the past” has been selected by the North-South Centre of the Council of Europe as one of the three World Aware Education Award winners. Historiana is an international programme initiated by EUROCLIO, the European Association of History Educators and the Netherlands Institute for Heritage, on history and heritage education in Europe. 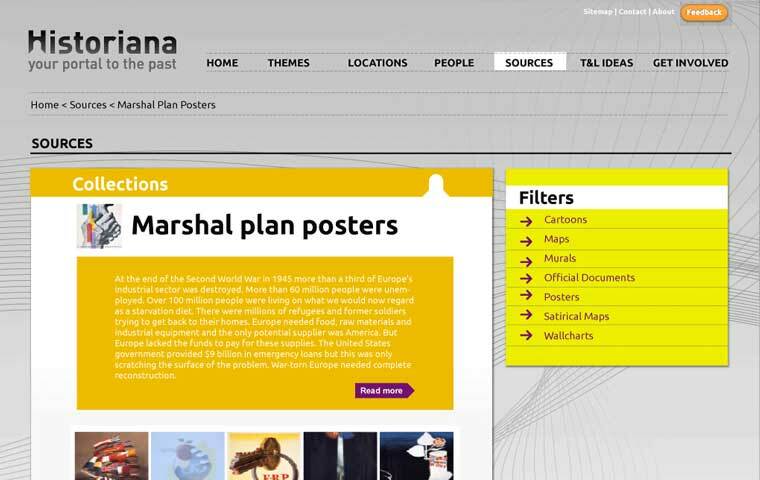 The main outcome of this project is a thematic website that enables young generations to learn about their past. Historiana offers access to a plurality of historical sources and well-developed teaching and learning ideas to educators, students and other users. This programme is established by transnational cooperation between many organizations and individuals. The development of this ambitious project is made possible by the hard work of professionals: an outstanding editing team led by Editor-in-Chief Dr. Robert Stradling, contributors from over 25 different countries, our excellent web-developing teamat WEBtic and the Historiana Advisory Board. We are very thankful for the effort everyone involved has put in the development of this project. The educational website is currently going through the final stages of review and editing. We will start piloting the website in classes across Europe from the beginning of next year. At this moment we are very happy to share the design of our award winning product with you. You will be informed once the final version of the website is accessible online.